through education, health & capacity building. 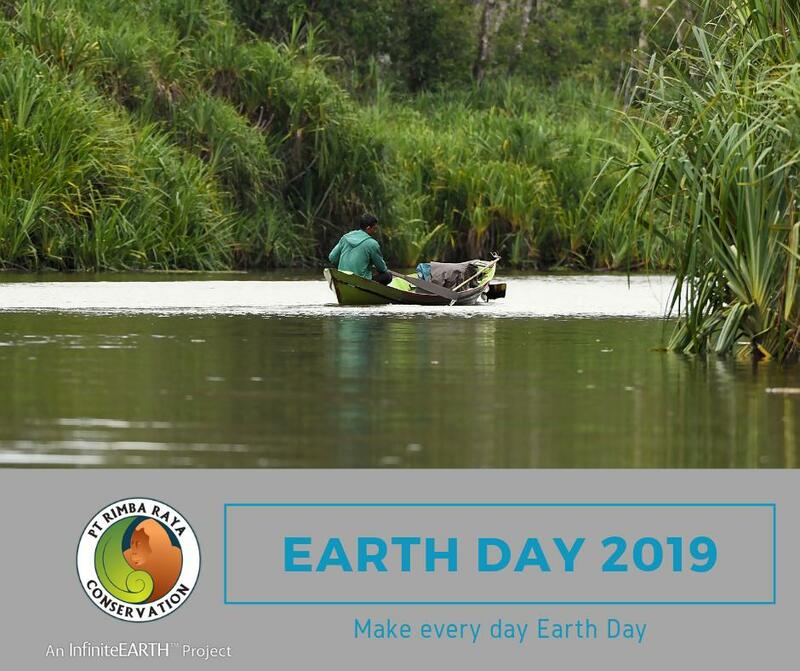 Rimba Raya is the largest REDD+ project in the world, in terms of avoided emissions delivered to date, protecting nearly 65,000 hectares of peat swamp forest in Central Kalimantan in Indonesian Borneo and avoiding more than 130 million tonnes of carbon emissions. Rimba Raya is also the world’s largest privately-funded orangutan sanctuary. Rimba Raya developes livelihood programmes in surrounding villages (addressing all 17 of the UN Sustainable Development Goals) to provide education, employment and hope for the future. 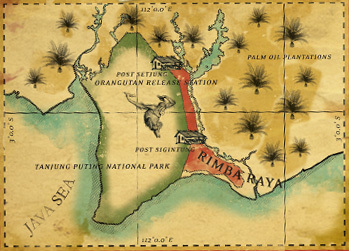 Rimba Raya is an InfiniteEARTH Project. Rimba Raya was the first validated REDD+ project – ever – under the Verified Carbon Standard (VCS) and helped define the criteria by which all projects are measured. Rimba Raya, nearly the size of Singapore, protects one of the most highly endangered ecosystems in the world. We form a vital patrolled buffer zone between the ever-encroaching bulldozers of the palm oil industry and the Tanjung Puting National Park, home to one of the last remaining wild populations of orangutans on earth. At Rimba Raya, we partner with local communities to develop solutions which provide sustainable growth of the economy while protecting and preserving limited and vulnerable natural resources. Ensuring the integrity of our CLIMATE through conservation and avoided deforestation. Developing & enhancing our local COMMUNITY through education, health & capacity building. Protecting Our BIODIVERSITY Through The Preservation of Endangered Species. is the equivalent of removing one million cars from the world’s highways every year for the next 30 years. Better yet, stop buying those stupid bottles. More importantly don't dump plastic in our oceans and rivers, BRIAN DENNIS WHITNEY OF SALFORD U.K. SUPPORTER OF THE WORLD WILDLIFE fund and the Whale and Dolphin Conservation society and sky ocean rescue service thanks again sincerely Brian Whitney of Salford U.K. Very very sad. Please cut your plastic bottle rings...a small act that can save the lives of innocent creatures.